Good aircon servicing is necessary to maintain your air conditioner. In Singapore, some may find it difficult to spend a single day without using an air conditioner. It is necessary that you take good care of your Aircon. However, there are various myths circulating in the market that may make you think twice before getting a Normal aircon servicing. These myths will give you wrong conception about how the total process works and you will have wrong expectations. 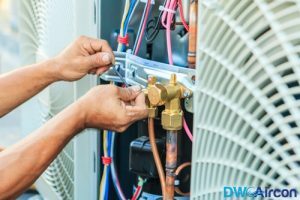 Thus, here are few myths and facts about Aircon servicing that will help you take the right decision without being biased. A myth that can be devastating when time comes. Most people forget about maintenance of their Aircon unit when it is running properly. They forget that debris and dusts keeps on accumulating in the ducts and other parts of the machine. If they are not cleaned on time then they can create huge problems. 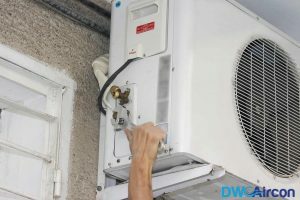 Debunking the myth that a running Aircon will not require servicing, if you get aircon servicing in Singapore then it will make the Aircon energy efficient. When all parts are functioning properly and there are no obstacles the unit will consume less energy making your Aircon energy efficient! When it comes to installing the Air conditioner, location plays an important role. You have to be very careful as if the unit is placed at wrong location, as it will consume more energy thus increasing your energy bills. You should not install it near any electrical device or at places where it will get direct sunlight. 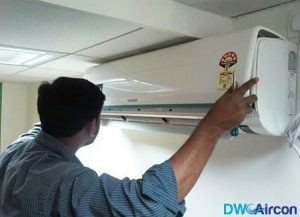 You can even contact with any cheap aircon servicing company in Singapore who will be the right person to inspect your place and suggest the right place where you can install the Aircon. They will do so to make sure that your unit does not consume more energy. 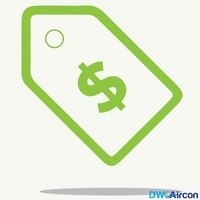 A professional will also provide you necessary tips for keeping your Aircon clean and working properly. The size of the room where the Aircon will be installed is only one of the factors that helps in deciding what aircon to choose. You need to consider a lot more thing, like the height of the room, the material with which the walls are made, the furniture in the room, placement of other electrical devices, size of outdoor devices and others. Consider everything and then choose any particular Aircon. As Aircon installation is not an easy job it is best to handover the whole process to professionals. 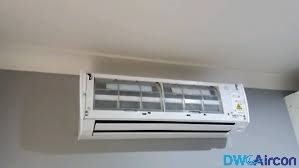 They will suggest you the capacity of the Aircon to be installed, provide you necessary warranty on various services offered and also help you decide the right place to install. Moreover, it is simple to book an aircon service and the aircon service cost is also minimal, which will not be harsh on your wallets. Again, this is a myth which will make you confused. The air conditioner itself is equipped in the best way to circulate air within any room. Now, if you use a fan over it, you are actually hindering the working process of an air conditioner and thus increasing the energy bills. You have to be careful in certain areas that will make your air conditioner more energy efficient. In order to enjoy the service of the air conditioner used by you, it is necessary that you take good care of it. Keep the fan inside the aircon unit clean, it will perform better. Moreover, you should not keep the aircon unit on throughout the day. If you are keeping it on, it will put pressure on different parts of the Aircon. You can switch them off often and then switch them on again. A myth that may cost you the life of your air conditioner. Dirty filters affect the performance of your Aircon. It will stop the free flow of fresh air and put pressure on the compressor. Thus, while getting ac servicing it is best to check them out. To let your air con unit perform at its best you need to replace them at regular interval. This will allow the machine to perform best.